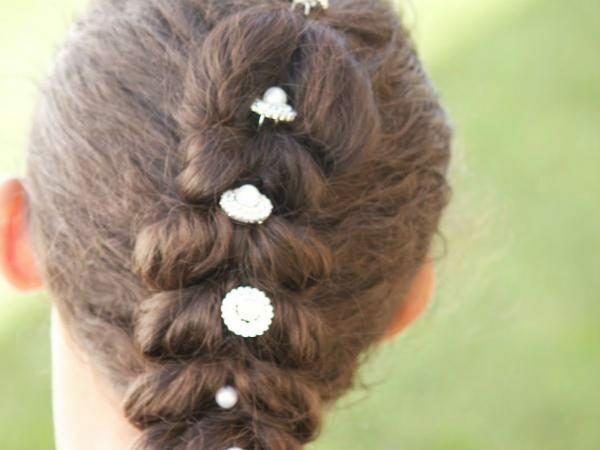 With wedding season upon us this is a great hairdo for girls of all ages, and can be achieved in about ten minutes using CurlyKids® Curly Gel Moisturizer, bobby pins, and elastic rubber hair bands. When it comes to curly hairstyles, finding the right product to use is key. I avoid using heavy gels and hairsprays on Anastasia’s hair, which is tough because of the challenges when trying to tame flyaways and keep the style in place. Creating the pull-through ponytail braid is best on second or third day hair. Anastasia’s biracial curly hair doesn’t style well on wash day because her fine strands have a hard time staying put, as opposed to thicker kinkier textured curls. CurlyKids® Curly Gel Moisturizer doesn’t contain parabens, sulfates, petroleum, or mineral oil. 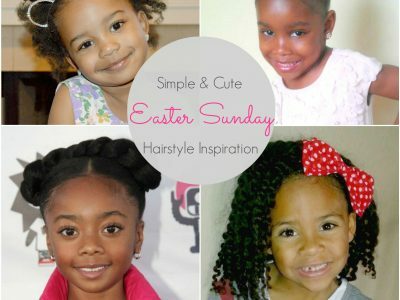 It does a great job of adding moisture and shine without weighing her curly hair down. We use it to freshen up wash-n-go curls as well as ponytails and braids. To achieve this look, start by distributing a dime size amount throughout the curls before beginning the pull-through ponytail braid. Then continue to add more as needed to smooth out the roots. Normally we shy away from using too much gel to avoid product build up. But, CurlyKids® Curly Gel Moisturizer doesn’t leave her hair feeling sticky or greasy. It lightly holds each hairstyle without stiffness while minimizing breakage. Let us know what you think of the pull-through ponytail braid in the comments below. For more curly hairstyle tutorials visit weatheranchormama.com.